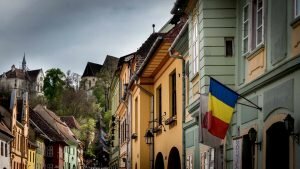 Start this tour of Transylvania from Timisoara and roam the country in search of the places that made Transylvania the best region to travel in 2016 according to Lonely Planet. 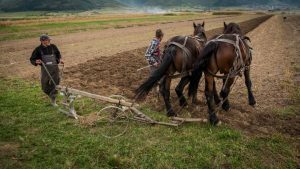 You will open the gates of imposing castles, explore medieval towns with their eye-catching buildings, discover true Romania in quaint villages and enjoy breathtaking views from the top of the Carpathian Mountains. Start your journey with one of Romania’s most beautiful cities, Timisoara, chosen European Capital of Culture for 2021. Timisoara is known as the town from where the Romanian anti-communism revolution started but it is also known for its multiculturalism, here living for centuries important communities of Germans, Jews, Hungarians and Serbs. You will enjoy walking through the old town, admiring the rich Secession Architecture. Then travel to Hunedoara where you will visit the imposing Corvin castle, built in the 15th century with a predominant Gothic architecture. Pass through the huge entrance bridge with encircling river and find out the legends written among its walls. Sibiu is a charming medieval town located in the heart of the country. You will have a guided walking tour through the center and discover its historic squares, fortification walls and towers. Overnight in Sibiu at Timpuri Vechi. In the first part of the day you travel from Sibiu to Brasov, a medieval town located in a valley between mountains. You will visit the old defensive walls, the citadel and the main square so you can learn about the rich history of the place. You will also have the chance to do some hiking as you can go up on Tampa Mountain and enjoy a beautiful panoramic view over the town. If the hiking is not for you there is a cable car that you can go with. 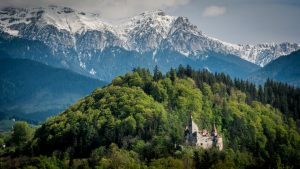 Later in the day you will visit the famous Bran castle. Usually associated with Dracula for the resemblance it bears with the castle described in Bram Stoker’s novel, the 15th century former residence is actually a charming castle tastefully decorated by our queen Mary in the early ‘20. If you are traveling between July and the end of September, you can add to this tour a drive on the scenic Trasfagarasan road. 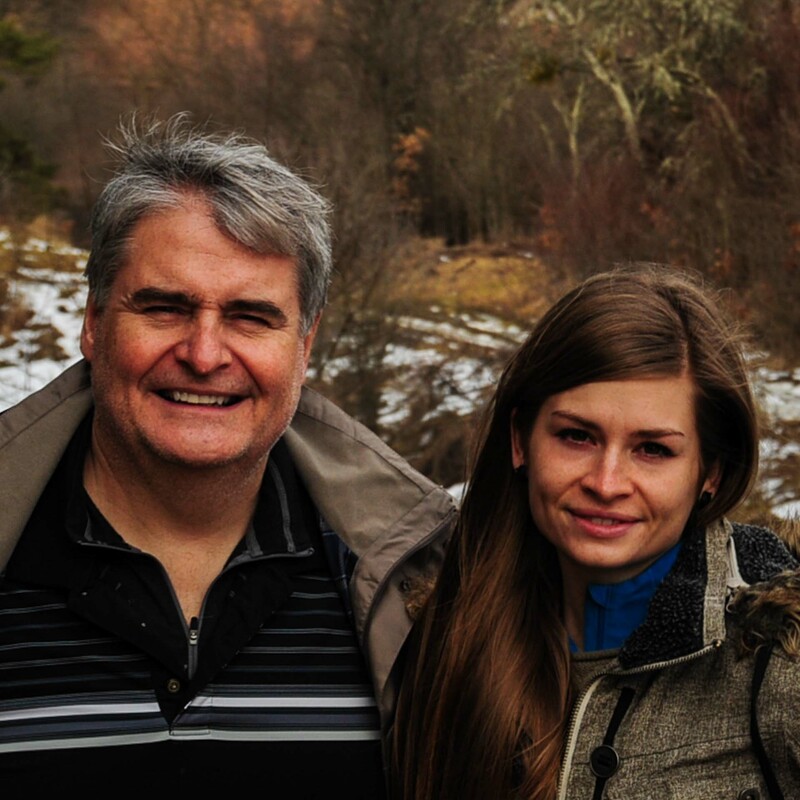 Called “the best road in the world” by Jeremy Clarkson – Top Gear – , Transfagarasan crosses the highest Romanian mountains; from the top you will have a breathtaking view of the mountains and the road’s sharp turns. Overnight in Bran at Conacul Bratescu. During the third day of your tour of Transylvania from Timisoara you will visit the Libearty Bear Sanctuary, where more than 80 bears have now a natural and safe habitat to live in. You will find out their interesting stories as they were rescued from places where they were kept in improper conditions in small cages, with poor diet and in some of the cases no veterinary care. 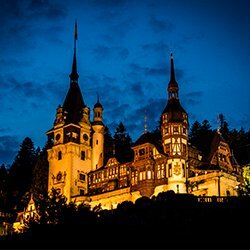 Placed in a fairy-tale like setting, at the edge of the forest, Peles Castle will introduce you to the royal atmosphere of the 19th century. You will visit unique rooms decorated in Florentine, Turkish, Moorish, French, and Imperial styles, fine art collections and fine furniture. Then you can take the Cable Car and go up in the Bucegi Mountains, at more than 2000 m altitude from where you will have an amazing view of the surrounding valleys. There you will also see some interesting rock formations, carved by the nature in thousands of years. They are called Babele due to the resemblance that they have with some old bent ladies. The last stop on today’s list is Rasnov fortress which was built by the local villagers to defend themselves from Turkish and Tartars invaders as it was the first fortress encountered by armies invading Transylvania through Bran Pass. You will spend the day in Viscri, one of the most charming villages of German Saxon heritage in Transylvania. 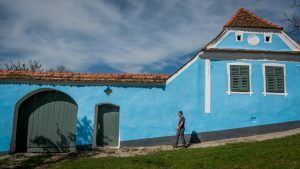 Here you will find one of the oldest fortified churches in Transylvania and beautiful restored houses with the same shade of blue as they had centuries ago. HRH Prince Charles of Wales actually owns a house here and comes every year in the village. The church sits on a hill, surrounded by walls and forest and displays traditional objects of Saxon heritage in a little museum. On today’s list is also a visit to a brick-maker so you can learn how bricks and tiles were made centuries ago from clay, sand and water, a traditional occupation still practiced in Viscri where it seems like time stood still. 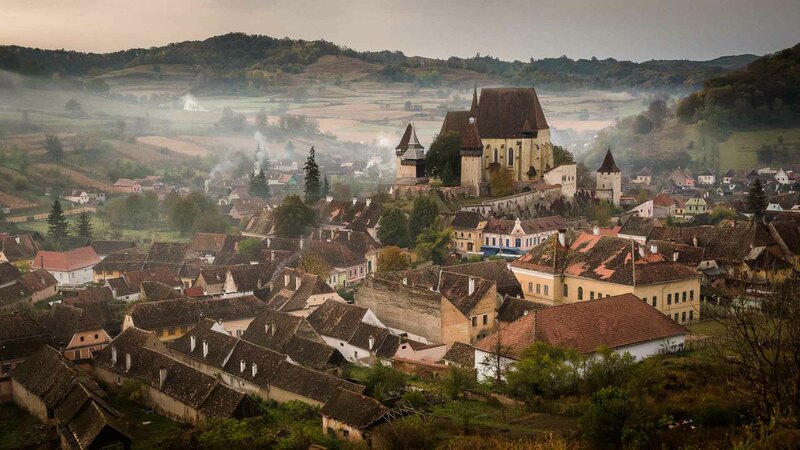 In the morning you will travel to Sighisoara, a beautiful citadel founded by Transylvanian Saxons in the 12th century. You will feel like stepping back in medieval times, walking on the narrow cobbled streets and admiring the colorful historic buildings. Then you will go down in the spectacular Turda Salt Mine. While you breathe the healthy air you can enjoy taking a trip on the Ferris wheel, playing soft sports such as mini golf, table tennis and bowling or even rowing a boat on the underground lake. Overnight in Coltesti at Conacul Secuiesc. You will start the day with a walk in Rimetea or Coltesti, two villages set at the foot of Trascaului Mountain. You will enjoy roaming the streets of these Hungarian heritage villages, admiring the white traditional houses and the beautiful nature that surrounds them. Alba-Iulia is the next stop on today’s list. A former fortress, of high importance for Romanians as it is here where the three main regions united in 1918 to form the country Romania, Alba-Iulia is now a charming place where you can have a nice walk while learning about the rich history of Romania. 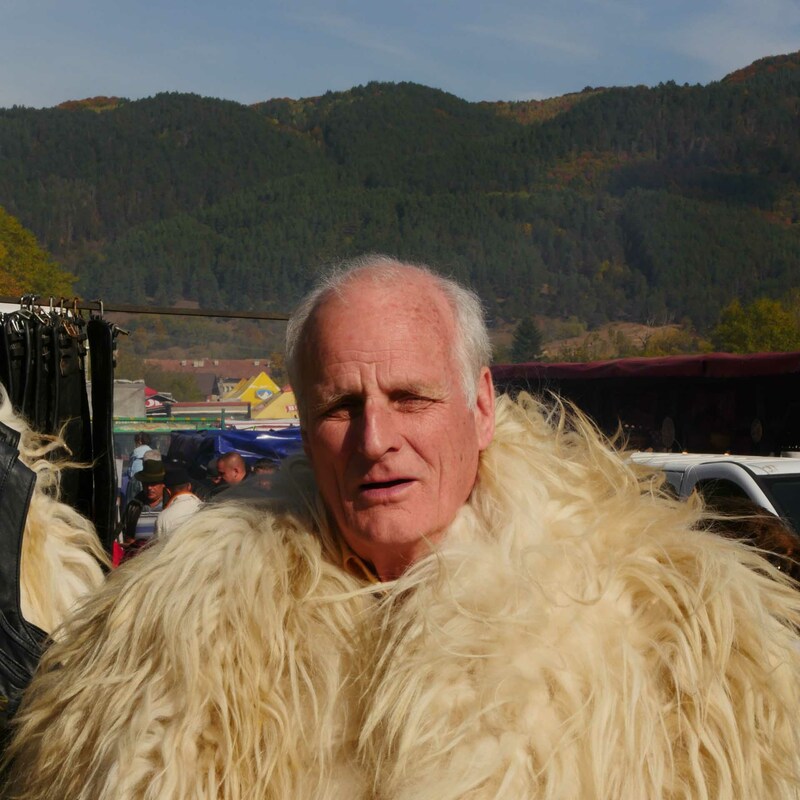 At the end of the day you will travel to Timisoara where this tour of Transylvania ends.